Celebrate any occasion with an Applebee’s gift card. Try out the Builder Your Sampler platters, an original burger, or explore the Lighter Choices menu if you’re looking for a low-calorie option. No matter what you get, know that Applebee’s® is committed to serving delicious food – just the way you like it. Applebee’s® Gift Cards are customizable, easy to order, available in both gift card and egift card options, and can be used at nearly 1,900 U.S. and Canada restaurants. Visit www.applebees.com/gift-cards to learn more. National Gift Card is the best place for you to order Applebee's cards in bulk. We are the experts in all things gift cards and can set up your gift card solutions program for you today. Please contact us for more information on bulk, direct-to-recipient, or individual gift card fulfillment for your gift card program. Contact us here or call us at 888-472-8747 today! Applebee’s® trademarks and logos are used with permission of Applebee’s Restaurants, LLC (“Applebee’s”) and such marks constitute registered trademarks or service marks of Applebee’s. 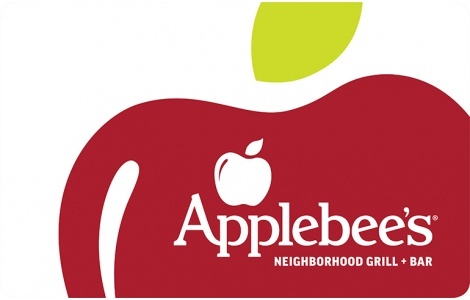 Applebee’s is not affiliated with NGC US, LLC. and is not a sponsor or co-sponsor of this program. Applebee’s is not responsible for delivery of any gift cards promised, earned, purchased or otherwise offered through this program. Please see the Applebee’s gift card or visit www.applebees.com for additional terms and conditions, which are subject to change at the sole discretion of Applebee’s or its affiliates.